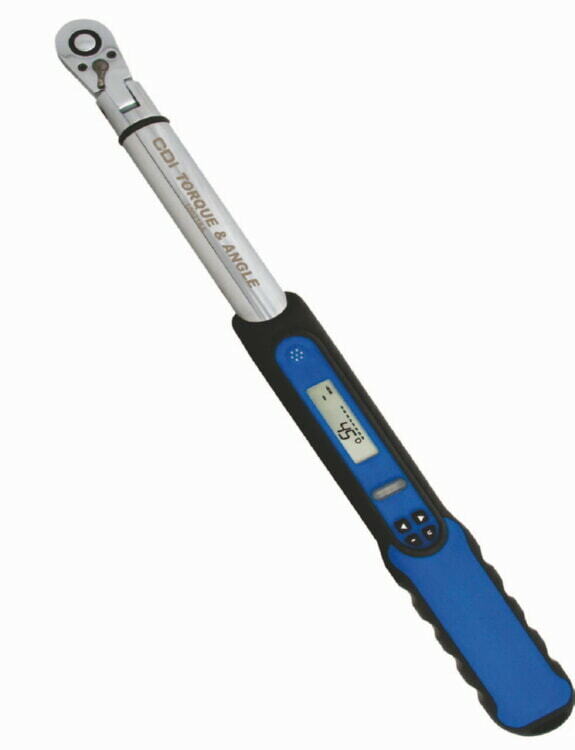 The CDI Torque and Angle Electronic Wrench incorporates 21st Century Technology in a simple to use digital wrench. 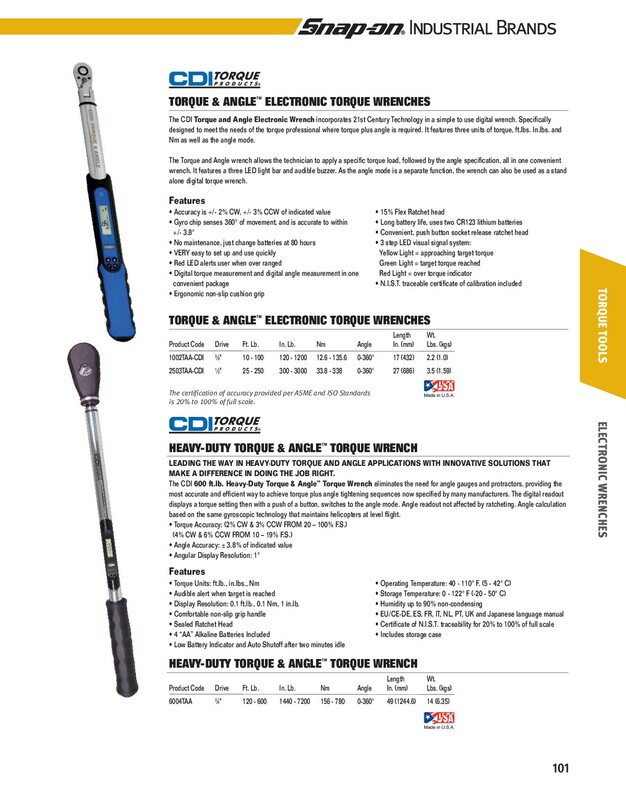 Specifically designed to meet the needs of the torque professional where torque plus angle is required. It features three units of torque, ft.lbs. In.lbs. and Nm as well as the angle mode.The Torque and Angle wrench allows the technician to apply a specific torque load, followed by the angle specification, all in one convenient wrench. It features a three LED light bar and audible buzzer. 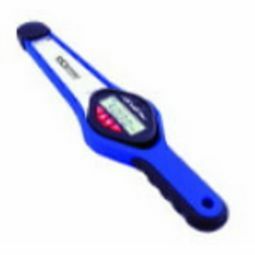 As the angle mode is a separate function, the wrench can also be used as a stand alone digital torque wrench. is 20% to 100% of full scale.